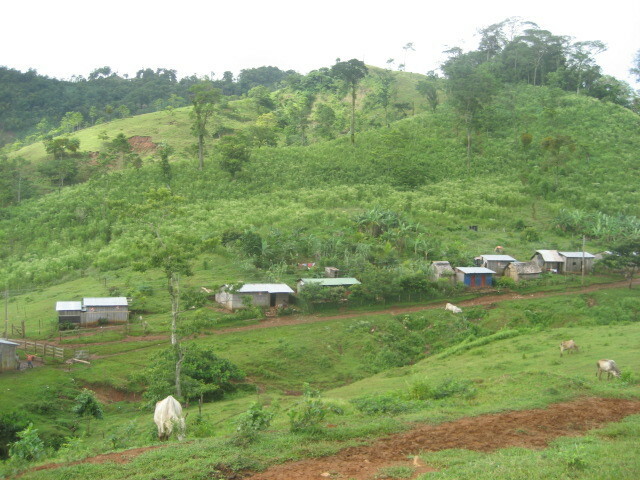 In a community called Palan Bilampi, a gravity water project delivering 70 liters/day per inhabitant and a latrine to individual houses, education for maintenance, long term hygiene and sanitation, the preservation and reforestation of the watershed. 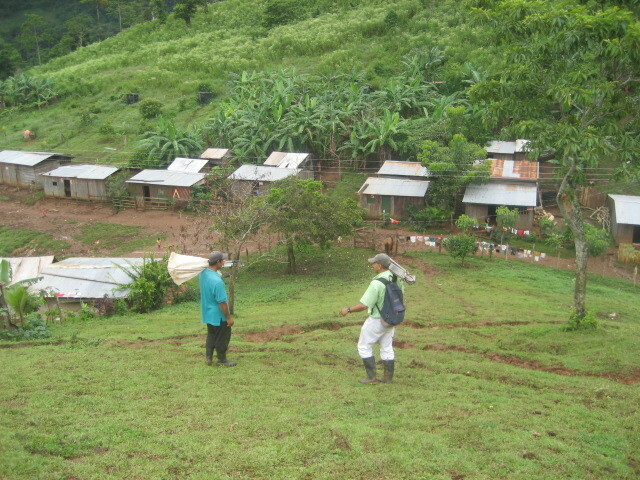 Palan Bilampi has been affected by the landslide of June 2004 in the Cerro Musun. At that time as emergency the Red Cross built 4 public common water taps. There are two main problems : first one is that water from this system is polluted (the source is open and unprotected) and second one is that in the summer, there is not enough water for the entire community. Then women and children have to carry water on a long distance. We found a spring that gives 68 litres/minute in the summer. 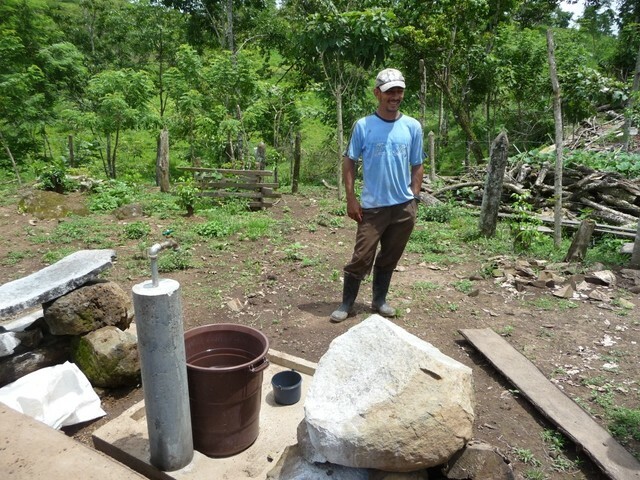 The consumption of the whole community estimated in 15 years will be of 15 litres/minute, so the spring is big enough for the community needs. This project is designed to carry water to the community estimated at 304 people in 15 years. 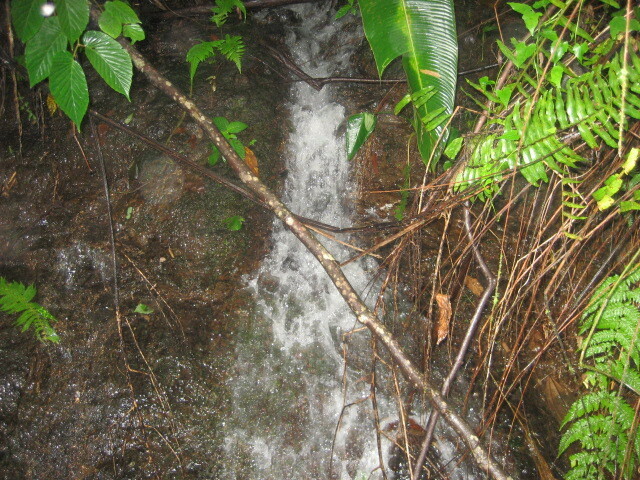 The presence of a spring which does not dry up during summer and that is located above the community suggest a gravity system as the obvious first choice. These systems are the specialty of APLV which has designed and help build 72 of them- all presently functioning. The basic components are a spring-catching and protecting construction, a buried conduction line to a holding tank evening out the supply over the day, and a distribution network leading to individual water taps all by gravity. In the case of Palan Bilampi, the conduction line from the spring to the tank will be 1460 m long with two subterranean crossings and one 44 m long suspension bridge. The storage tank will be of 10 cubic meter. The distribution network will be 3500 m long. Water system : It begins with spring catchment (concrete retention walls, filters...) and follows with the conduction line digging. network. 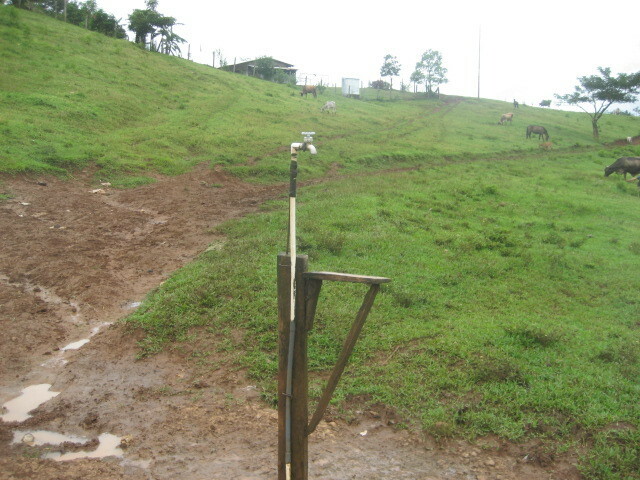 It finishes by building the waterstands in each home with its valve and a watermeter. All carrying material and digging work is done by the people of the community. 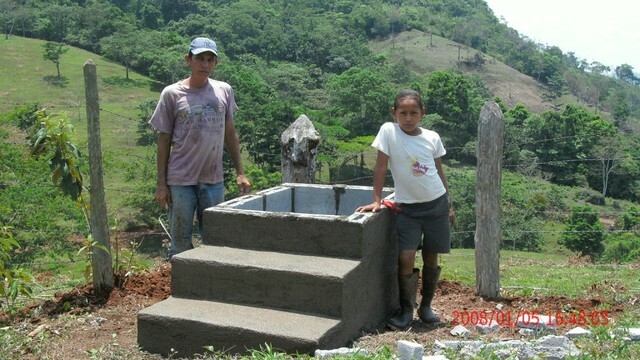 Sanitation : we provide the families with the materials to construct their own latrine. The model is Ventilated Improved Pit latrine (VIP latrine). 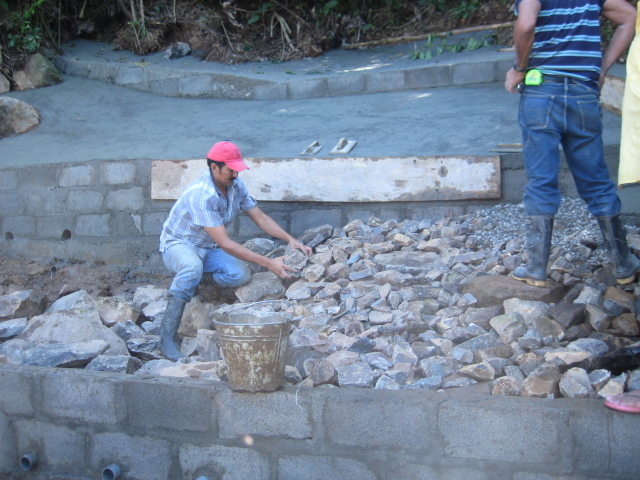 the foundation and assembling the superstructure. 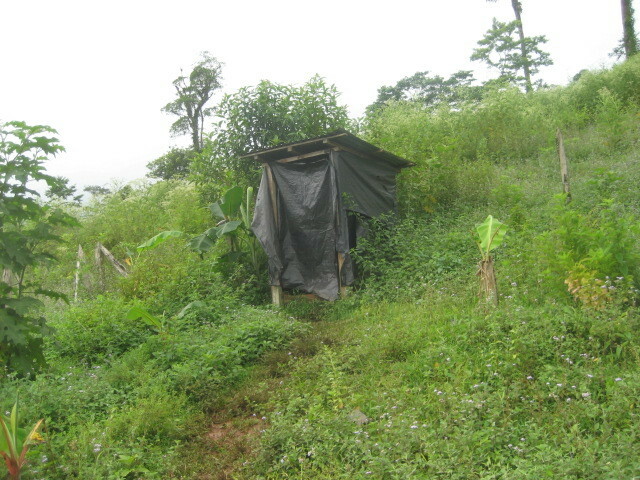 Beside this, each family member receives, through the heath & hygiene promotion program, a training about how to use latrines and the importance of it. The community has been organized. Family have each individually signed a commitment to work the required number of men-days (65 days per family). A CAPS (committee charged both to organize the daily work schedule during construction and to learn and provide maintenance after construction) has been formed (9 people). Monthly rates per family have been established to cover maintenance and its tools. The project is kept under observation by APLV for 4 to 6 months and is thereafter formally handed over to the community as its owner. The spring has been formally handed over to the community by its former owner (0.7 ha of land around the spring). 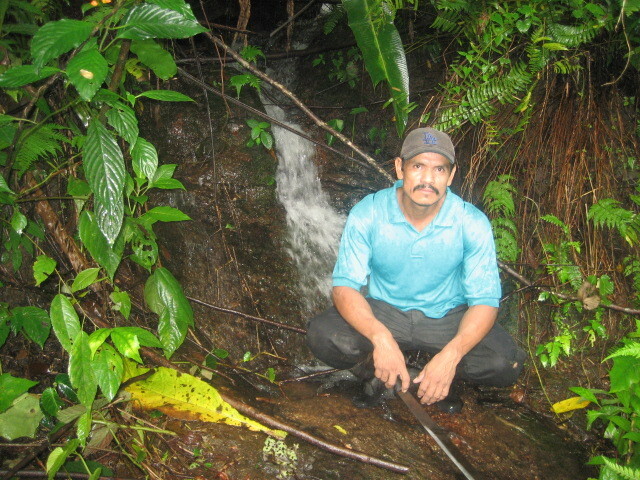 Nicaragua government tried to reinforce access to water in the countryside through laws about water, saying that a community can require a spring if they need to. The water committees CAPS got a legal body and can now own land and manage funds on their name. 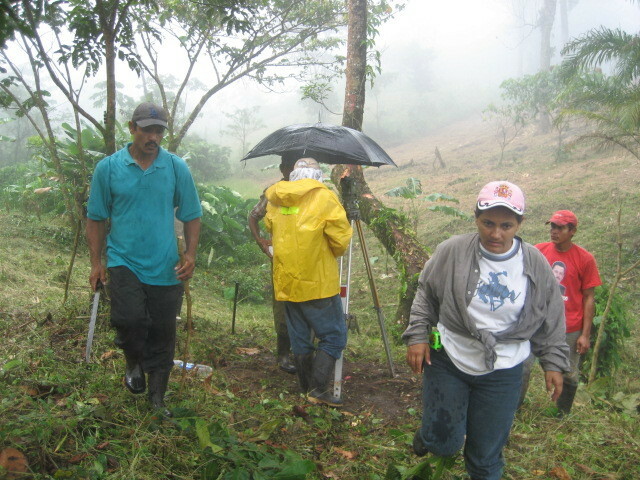 Reforestation is one component of our training of the community, because reforestation of the watershed is important to guarantee spring sustainability. We appreciate your efforts and good work done in providing access to safe drinking water and sanitation to the vulnerable communities in the project area. Though the budget summary is in English, the detailed budget is in Spanish and is difficult to understand. Would it be possible to send the same in English? After the completed project is handed over to the community, will any follow up take place afterwards? The completed project is first tested so that its real performance is compared to its design features and the relevant information is handed to the manitenance committee. There follows a period of about six months during which the operating system remains under observation and control of APLV. Then the system is formally handed to the community. 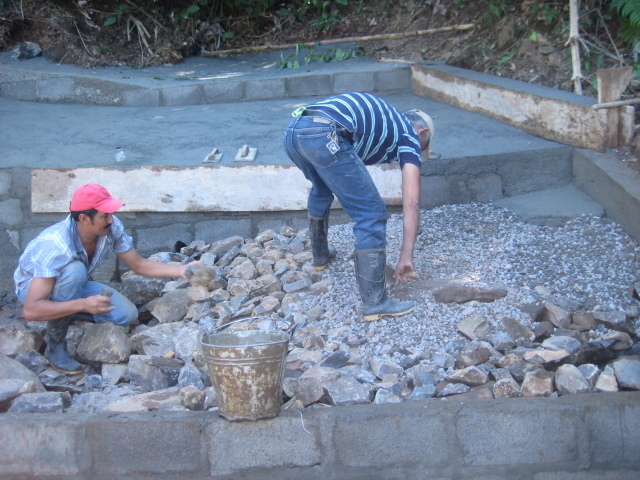 One of our technicians' full time job is to periodically review the operation of the projects and to deal with not only possible failures too difficult for the maintenance committtee to deal with ( such as landslides or hurricane dammage) but also with the modifications required by population increase. A yearly budget is ascribed to this activity. thanks for the mail , alongwith the proposal we have attached the budget sheet for individual villages which also have the cost estimates in indian rupees. Will it help to give an idea about the design and cost? This discussion should be carried out on the application of Gram Vikas, not here. What growth factor have you put in for 15 years? What is the main source of growth - migration or reproduction? The former would involve new homes and new tap stands, correct? Have you noticed if population is continuing to grow exponentially or some stability is being generated? This may be just general observations across all your projects. Is population growth a concern? I realize that religious/cultural factors may be at play. The present population is 169 persons. The estimated growth rate is 4% per year and the project has been sized for a period of 20 years , which means a population of 370 persons. The growth factor we use is of course subject to inaccuracies , even major ones. Sometimes a very bad crop will cause this (still a bit nomadic) population to sell their land and migrate Eas where the land is cheaper. Then the population even decreases. Sometimes the fact that there is available potable water in sufficient quantity is a sufficient incentive for the surrounding population to join the village so that the growth rate is way above what an ordinary village would experience. Our way of proceeding depends on our experience with villages where the villagers have had a water system with our help for a number of years and where the census has been renewed. W For a new project we triy to match the various charcteristics of an old and the new village which are the closest ( proximity to a road, price of land, available outside work etc...) and then apply the growth rate obseved of the previous village. Local birth rate is a more stable parameter, reasonably close to the national birth rate for Nicaragua . New homes do involve new tapsstands but the installation of even a single new tap stand requires monitoring and design by our technical group and this is a community responsibility, not an individual one. Additionally certain zones are defined initially as acceptable for extension of the distribution system and the maintenance committee sees to it that a new arrival either puts up his hut within that zone or formally gives up a right to a tap. As I think I mentioned earlier the population that is or going to be serviced by the system initially constructed (with the proposed budget) is the population projected for 15 years hence-( this includes all the mains) the additional taps being paid for by the new arrivals. The population growth is a concern of course. One of our techniciens is employed full time dealing with extensions due to the growth as well as with system dammage or failure beyond he ability of the village to deal with ( earthqakes, hurricanes, massive earthslides) . Part of our annual budget is devoted to these activities. I think putting the population that is going to be served at the time of completion is much better with the additional explanation of excess capacity to handle growth. Any other number is an estimation and distorts the snapshots that we generate with project impact. Those numbers reflect who are being served and should reflect actuals not 15 year predictions (which as you say can vary up or down). And natural events can affect the system. Also, the number used may get the system for only 5 years if your system lifetime is accurate. Another member, Meera, has asked us to track the number as they vary rather than have only one number which she keeps updating as the well adoption goes up (or down). We plan to work on that feature, so we can have a good picture of actual use of the system over time. Population is a complicated factor when calculating water system or any other project. 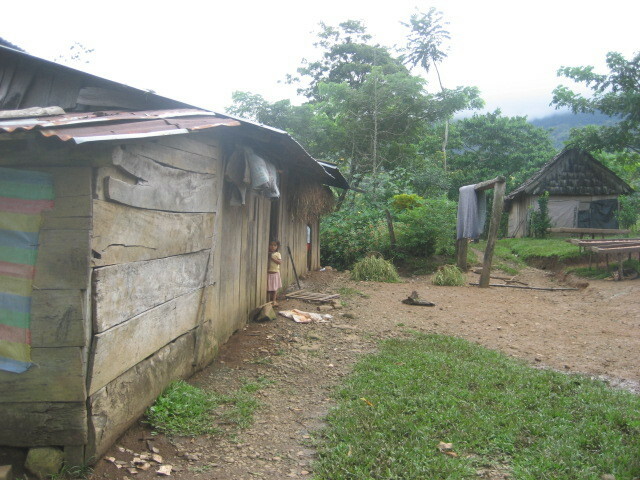 The Guatemalan government lists rural areas at 3% growth and urban areas at 5%. The latter is higher because of migration to urban areas for work. This does not indicate actual birth rate but a figure that blends migration and birthrate. The reality is somewhere around 4% actual ( more than double in 20 years) and we have seen this rate actually played out in the rural area villages and schools where we have been building water systems and sanitary facilities for the last 20 years. 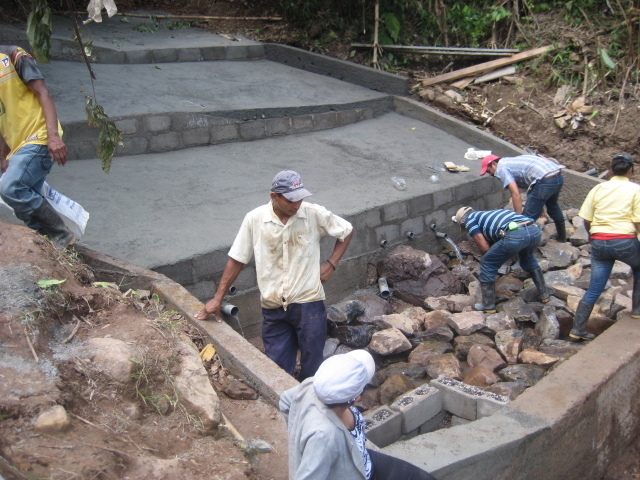 It is prudent at least in Central America to anticipate this growth in our designs. 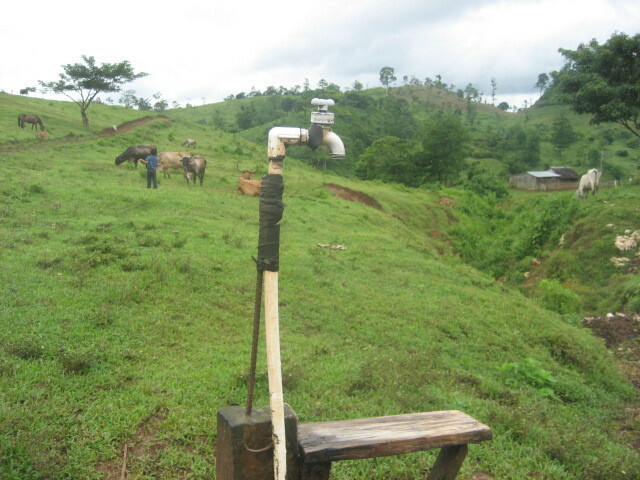 An indicator of this is the number of villages that were served with ater systems 15 to 20 years ago are coming to us to assist in amplifying their water systems. It is not an estimation it is the actual number of folks who can get the alloted amount of clean water for the budget presented. Whether this population is reached in 5, 15 or 25 years is, it seems to me less relevant than the number of people served for the money. This goes along by the way with your own previous remarks a couple of years ago about that being the crucial factor. They should reach you very soon. I shall send you pictures / sketches of how the gravity system works and hope it will help to understand. If you have any doubt still, would be happy to reply. Thank you Chitra for your kind proposal to send us ( Gilles Corcos and Lynn Roberts) pictures and sketches to help us understand how gravity systems, work. I won't speak for Lynn though I am aware of his solid and long experience in this domain. 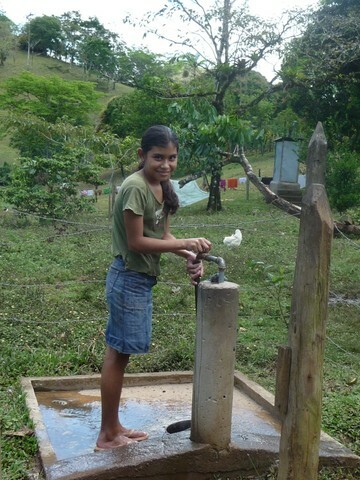 But Agua Para la Vida has been designing, building and supervising the maintenance of gravity systems in Nicaragua since 1987 and has been responsible for the construction of 72 such systems operating presently through a large part of Central Nicaragua.. It has made available a very large number of technical notes on the subject and designed special computer programs to facilitate and perfect their design. It also operates a technical school for local Nicaraguayen teaching the various technical aspects of this subjects. However we are always interested in learning how other groups deal with this subject , so by all means send us pictures and sketches of your projects. Gilles I noticed in the conduction line from your break pressure box to the distribution tank that you have about a 5% grade. Have you had any air accumulation problems with these slopes and velocities? Is the land undulating or relatively level down hill slope? :I don't have in hand what I usually do, the detailed data of the profile of the conduction line for Palan Bilampi. 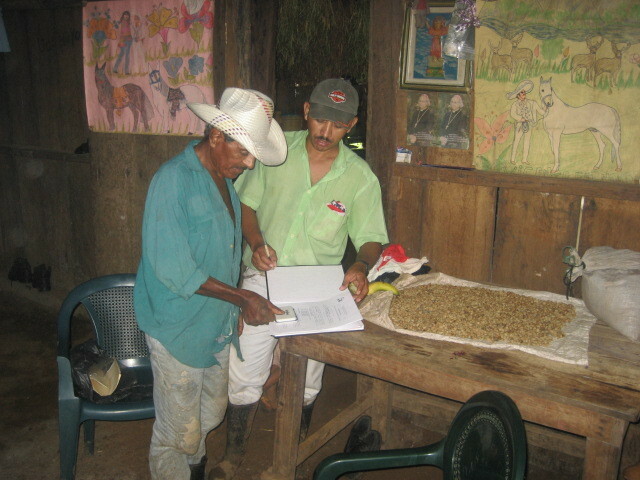 You should be able to get it directly from Jaime Alonzo by asking for el aire program para P.B. He can send you the complete design including a very detailed graph of the conduction profile. I am pretty sure you'll see several local high and low points on it. 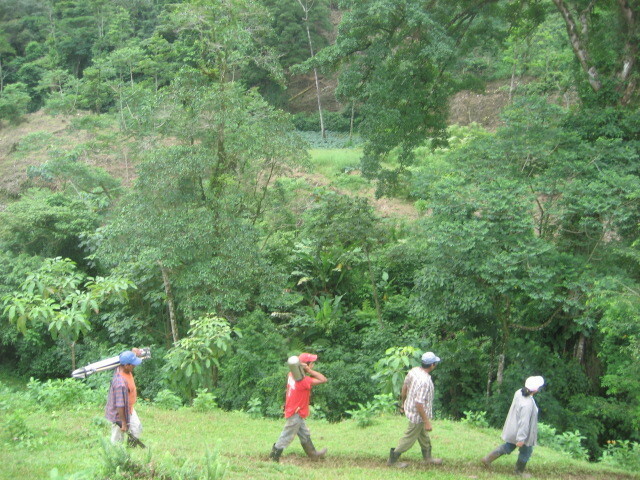 We do design conduction lines with slopes that are sometimes way steeper than those recommended by the official Nicaragua INAA and also wayshallower and we have been doing that for more than 20 years. And we are presently actively engaged in what looks like a succesesful process to get them to change their norms. The air pockets never get us problems, ( see the downloaded manual and program from our website). Large velocities do require immobilizing codos and can be a long term problem if there are excessive sediments, (we try to do a good filtration before and at the casa de accopio). Low velocities can be a problem with sediments of course but they can be fought with good filtration at the start, low -points cleaning valves and smaller diameters at a few crucial points. We have had conduction lines with a mean slope of less than 1/500 and large level excursions that have been operating for more than 12 years without any plugging problems. In fact I can't remember our ever having had a plugging problem in a conduction line. Sediment problems are of course very minor in distribution systems downstream of a tank where sediments have time to deposit and also are very visible,. Thanks Gilles. I think your experiences with air and blockage are similar to ours with very few if any problems. The only problems we have had are when the pipe size on slow systems is too large which allow for accumulation of air. Yoy system design appears to deal with this factor. Dear Lynn, we added in the application 12 pictures to show examples of tank, spring capture, latrine and water tap. They come from past projects of Agua Para La Vida. Their title begin by "Example of..." in order to differentiate with pictures from Palan Bilampi community. Best regards, Denis Barea. we added in the application 12 pictures to show examples of tank, spring capture, latrine and water tap. They come from past projects of Agua Para La Vida. Their title begin by "Example of..." in order to differentiate with pictures from Palan Bilampi community. Thanks for the pictures. The 2kb size makes them hard to make out details. Do you have nay of the 250-300kb size? Hi Lynn, I don't understand because the picture we put are in 200-300 kb size. Normally you can download them. Can you confirm that you can't download the pictures ? Best Regards Denis. I don't understand because the picture we put are in 200-300 kb size. Normally you can download them. Can you confirm that you can't download the pictures ? I just figured out that if you try to download the fotoes using the PW Download Button they come through 2-15kb, but if you open the foito in a new window and copy they come through normal size. Thanks for your patience. The overall project looks very good and similar to your other sustainable projects I have seen APLV complete. A secure water system has been one of the most significant objectives of villages from our experience and normally motivates the village to continue with their efforts once they need not carry water and expend much energy doing so. Just to clarify - PWX has a sophisticated photo management system. We store 3 qualities of the photo: thumbnail, low-res, and original. If you click on the thumbnail, you get the low-res. Clicking on the low-res gives the original. Clearly, we need to put some helpful text to clarify. You can also always link to your old applications and pictures by inserting an html tag like this link to the El Carmen project. Happy to work with APLV to import all their projects since 1987 onto PWX. I have just added a helpful hint on top of images that to see it in full size (not compacted to fit the PWX column) you need to click on the image again. Sorry about the incovenience and thanks for the idea. The design document being spanish we could not understand much of it. Also gravity flow systems that we do here in India have a per capita cost of around 72 USD. I feel that the budget is on a higher sider for the current population that the project plans to reach out to. 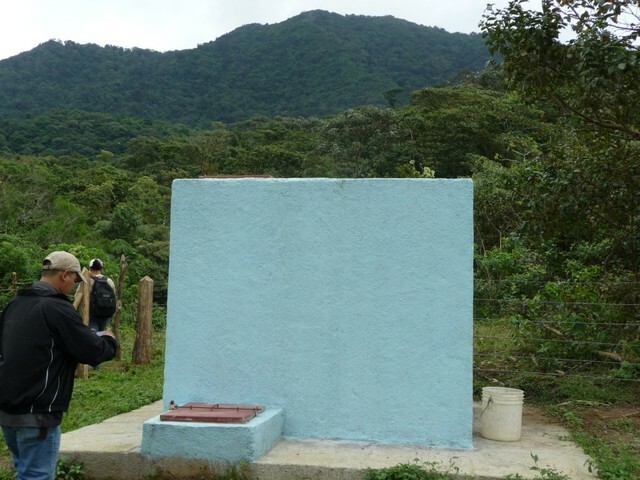 Overall, the project in intriguing as it supports safe drinking water in a very harsh, difficult environment. At the same time, the cost-benefit ratio is rather costly which makes it difficult to scale this type of project in other areas with similar terrain. On the other hand, the maintence cost of this project is quite reasonable. Key is to either lower capital costs somehow, or increase its output reach to more beneficiaries. This proposal has many good aspects. 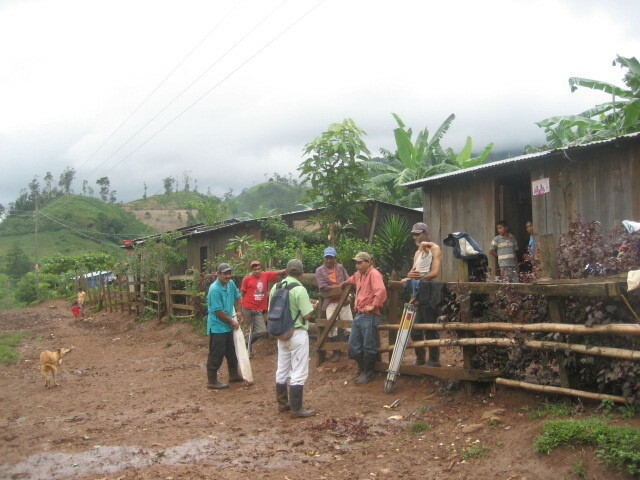 Incorporating the community in project implementation and long term planning are important parts of this project. 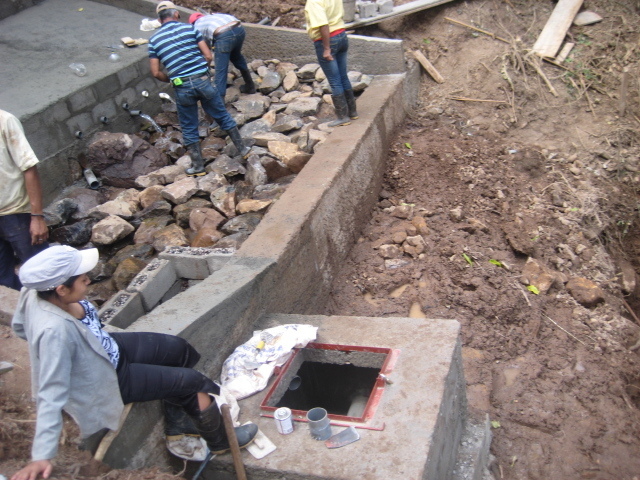 The basic elements of this project are the backbone of many projects we have observed first hand in Central America. They are well supported by good engineering and execution. They are similar to projects that we are constructing and have a very good sustainability factor because they are vital to the villages and the villagers are aggressive about making needed repairs. The costs of these projects have increased significantly in the last few years because of fuel costs impacting materials, transportation, and labor, but are within normal limits for this project. APLV's projects are both well engineered and socially thought through. Aside from the high costs per person, my concern is with their reporting and sharing. Their participation during peer review is great, but then till they are reminded about implementation progress, the funder and the exchange is forgotten. We appreciate the efforts and good work done in providing access to safe drinking water and sanitation to the vulnerable communities in the project area. The project is recommended for funding and wish the very best to the APLV team. We await the budget in english, meanhwhile the rating is given as the review cycle date ends today.